Here are a few of my favorite things from April. My Lululemon headband that my sister, Jessica bought me. Jessica is the yoga/pilates queen (and has the rockin' body to prove it.) While I wear faded yoga pants and old dance tshirts to the gym, she is always looking super cute in her matching outfits and accessories. 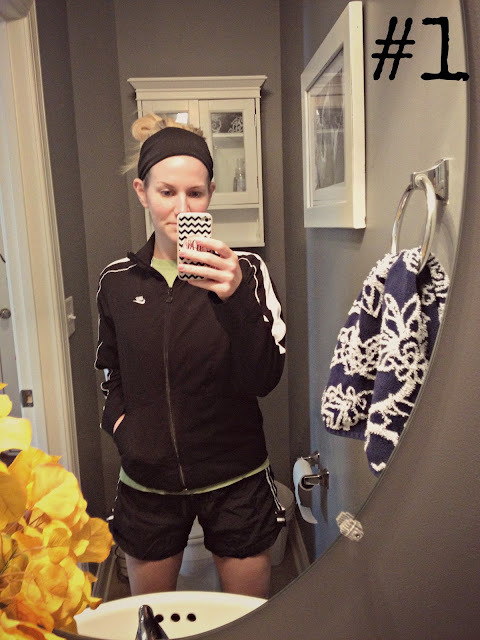 These headbands are the new big thing in the yoga world...and I have to admit that I love mine. I don't have to worry about my hair moving a bit with this headband, and it's super cozy. You can see Jessica looking a lot cuter with her headband on here. The Fab Four. 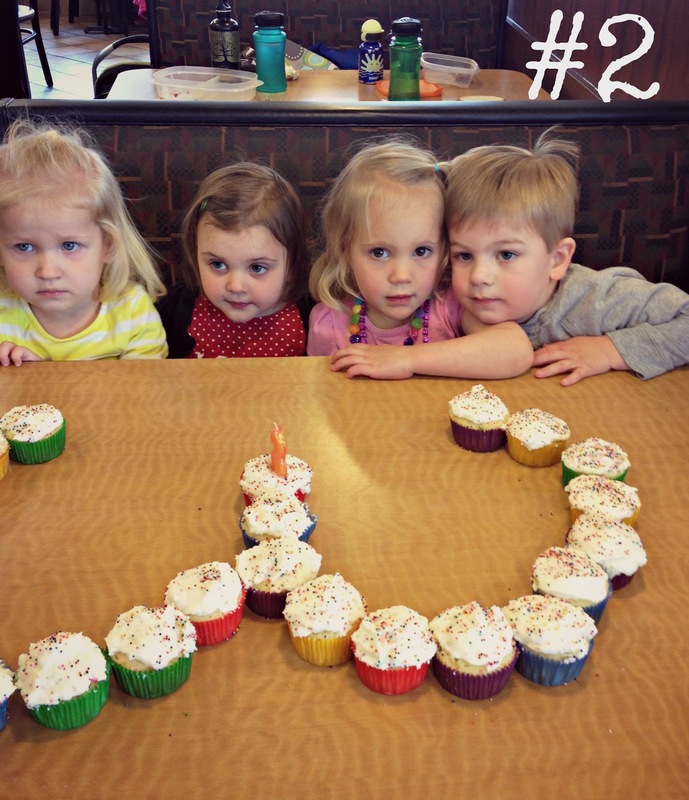 These little babies were all born within a few weeks of each other, and the other mommas and I get them together every year to celebrate. Aren't they all so adorable? I love looking back at their 2 year, 1 year, and 4 month old pictures (here). It's the weirdest thing. When I first tried this, I thought it was "ok"...but now I love it and have it almost every day. 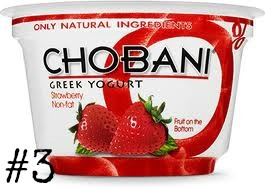 Who knew that something so healthy can be so tasty? 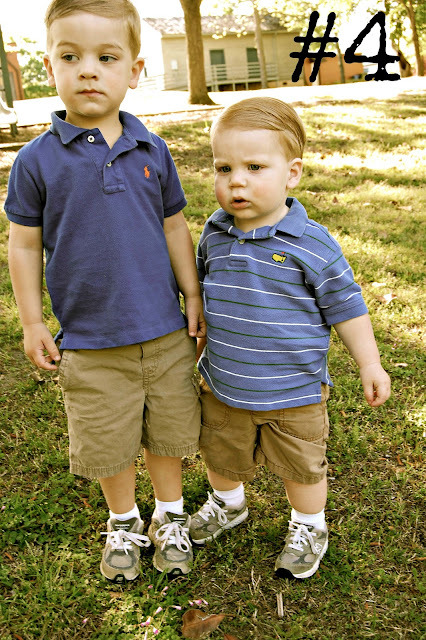 I love this picture of my babies and how they're all slicked up for the Southern Gentleman photo shoot last week. Noel and I were talking the other day about how it's so awesome that they love to do everything together. I hope they'll always be best friends. This top! Blaire from Turquoise B. Boutique sent me this adorable top and I can't get enough of it. The colors are so fun and I'm especially loving the buttons in the back. Everything at Turquoise B. Boutique is fantastic and very reasonably priced. Blaire started out with an online only boutique, but is opening up her own store this weekend. So excited for her! She is a wonderful person with a great eye for fashion. 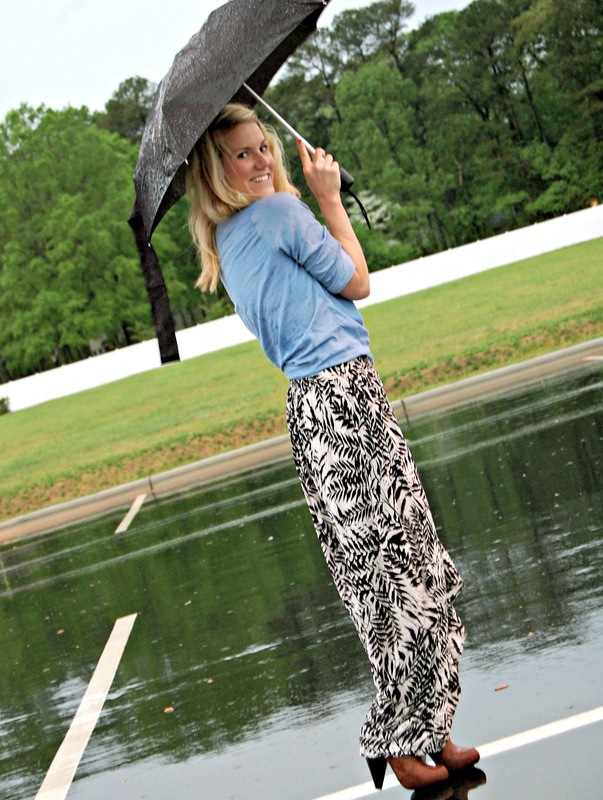 Today Blaire is offering one lucky reader a $30 shop credit to her boutique!! Just use the Rafflecopter below to enter. I hope you had a wonderful April! 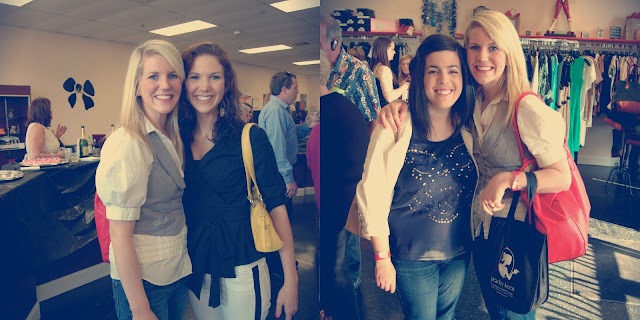 Angela and I co-hosted our first North Carolina Blogger Meet up this past weekend, (NC Blogger Buzz), and had a wonderful time getting to know some amazing local bloggers. We wanted everyone to leave feeling inspired, so along with deciding to host these meet ups quarterly, we chose to have a speaker and an open discussion about various blogging topics. Lauren spoke to us this go around, and she did such a fantastic job. Spring is a time for refueling, so we discussed ways to feel inspired and how to use that inspiration to stay fresh with new ideas. Angela and I also were able to work with some amazing sponsors so that each lady left with a fun swag bag full of headbands, pens/sharpies, coupons, and other goodies. 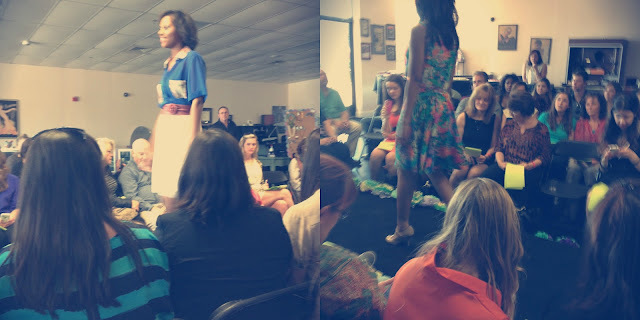 Cousin Couture and Silpada also provided us with 2 awesome giveaways. A big thank you to everyone who came. I loved meeting so many awesome ladies this weekend! Angela and I have already started planning our summer meet up, and are really excited about some ideas we've been tossing back and forth! 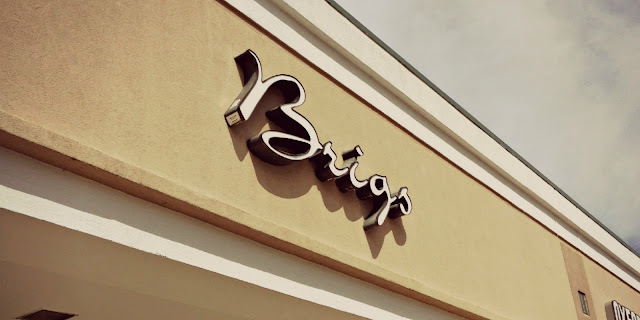 Have you ever attended a blogger meet up? If so, I want to hear about it! Hope you all had a great weekend. PS. 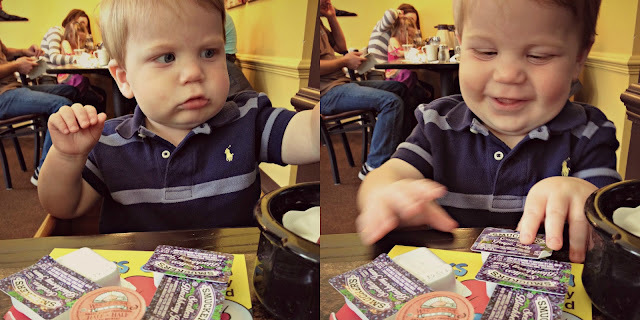 April's Favorite Things link up is tomorrow (along with an awesome giveaway)! I look forward to reading your posts! Linking up with Sami and Molly today. 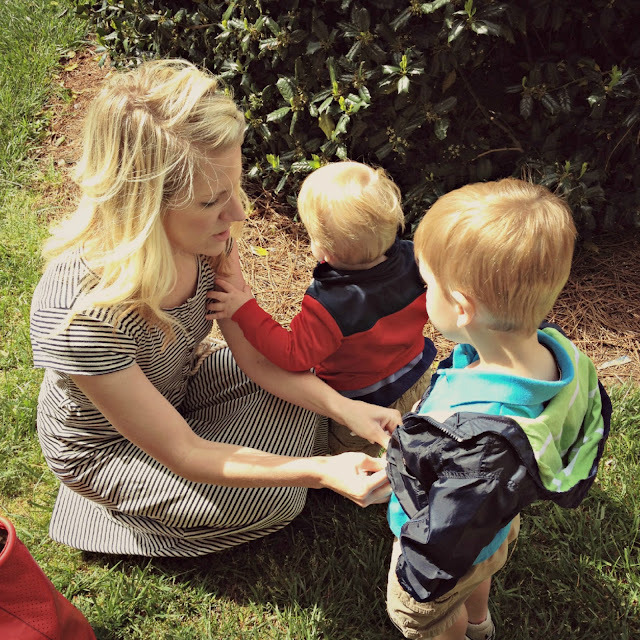 I think of one of the main reasons I've been chosen to be a "boy mom" is so I can teach them to be Southern gentlemen. 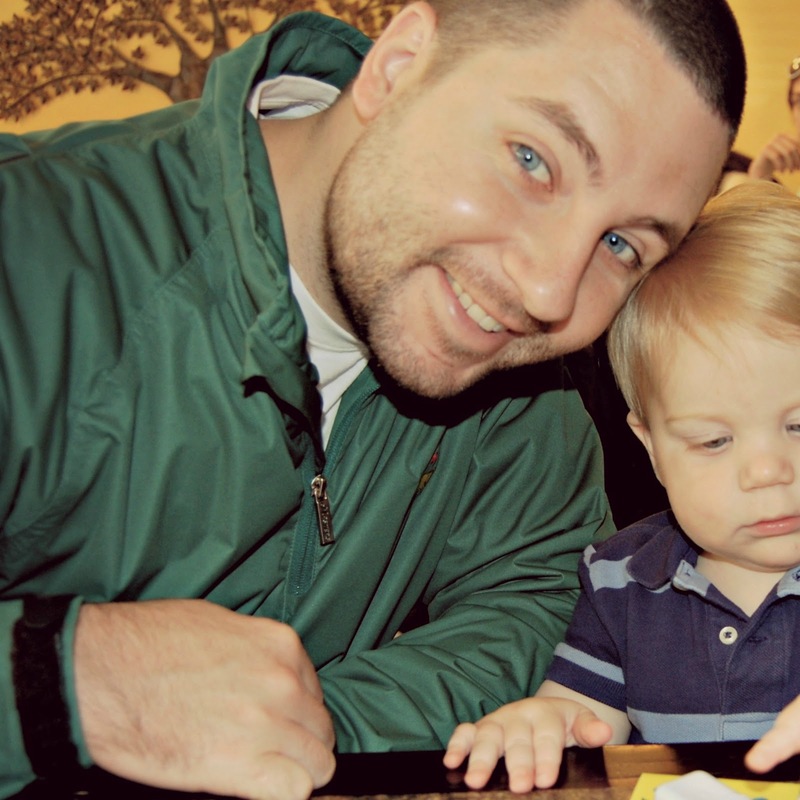 Here's a go-to guide that I've put together to help us boy moms out a bit. Give him opportunities to learn new things; let him find something that he really loves to do, and that he's really good at. Be his biggest supporter during successful moments and through difficult times. Specifically, teach him how to interact with a woman. Yes, sports are important, but he also needs to know about all the other stuff as well. Because let's face it, we all want an awesome daughter in law. So we have to teach him all the things that this awesome DIL will want in a man. Of course there's the typical "ladies first", and hold the door open...all very important things. But take him to the ballet so he can learn how to appreciate the arts and talk to him about what's going on in your life every now and then. Take him on a mother/son date to teach him how to do these things. When you dress better, you act better...at least I do! I know that little boys could care less about what they wear, but getting them in the routine of wearing the appropriate attire for different occasions/places is important. Children will model how you interact with other people, so be a good one and show him how to speak to people. 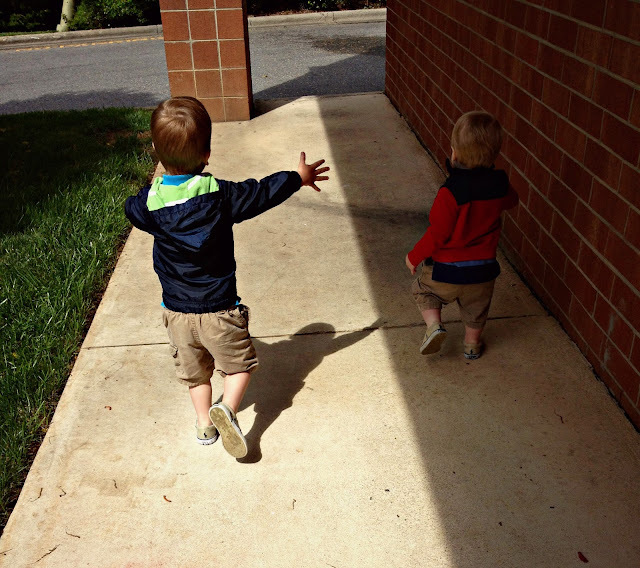 Teach him how to say hello and how to be engaged in a conversation. It takes a lot of work to reach your goals, so teach him that...and the importance of hard work in general. Take him to church so he learns how to have a personal relationship with his Savior. Teach these things at home as well. (My boys lucked out in this department.) Play music around the house and teach him how to keep beat. No, but seriously. When he's a little older teach him a few basic steps. (You can YouTube it) ;-) If nothing else, knowing a few dance steps will help your son be more well-rounded. So there you have it. 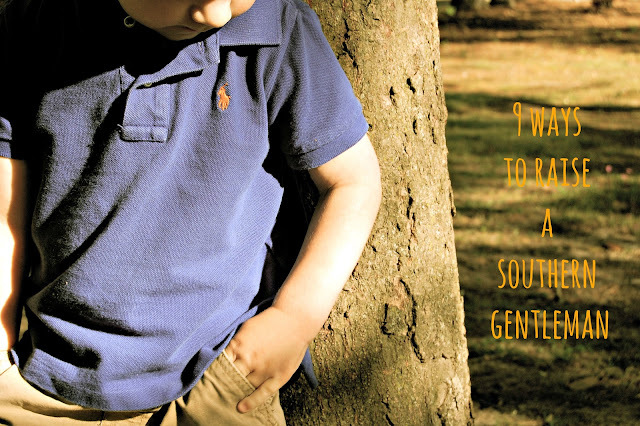 9 ways to raise a Southern Gentleman. I hope I do a good job with mine. Any additional suggestions on this topic? Happy Friday! In middle school, my friend Kristin and I used to wear white jean shorts (rolled up), our shirt in a clip (like this), and our hair in a side pony tail for "Twin Day"...which often times turned into "every day". What I wouldn't give to get my hands on those pictures. I never thought the day would come when I would actually tie up my shirt again. But I did it...and I like it! :-) I will have to pass on those white jean shorts I saw the other day in a store...(not calling out any names or anything....Old Navy). What were some of your favorite 90s fashion? PS. 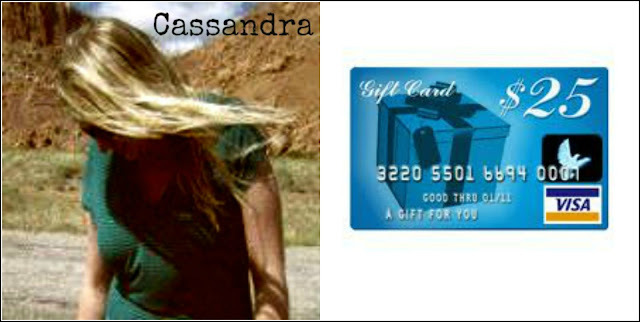 Make sure to enter to win this Visa gift card! 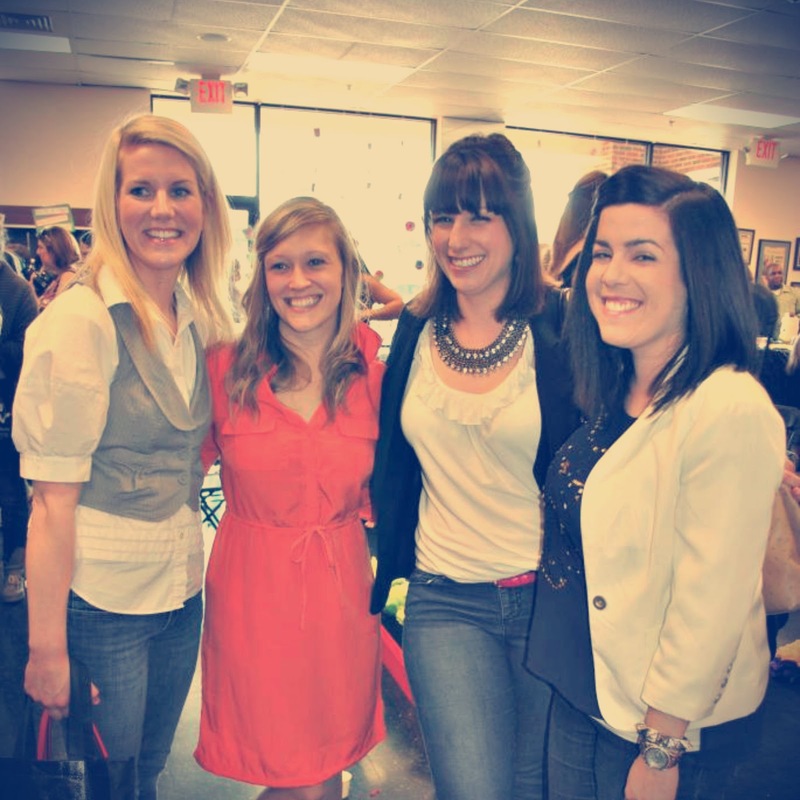 Linking up with Kristen, Shanna, Amy, Adrienne, and the The Pleated Poppy. I'm sure many of you have seen this Dove commercial. I cried when I first saw it, and I teared up the third time as well. What a beautiful commercial. As you continue your week, think about all the things that make you beautiful; that make you special. It's easy to focus on the negative..."I need to work on this, I need to change that"...but take time to remember what makes you so wonderful. 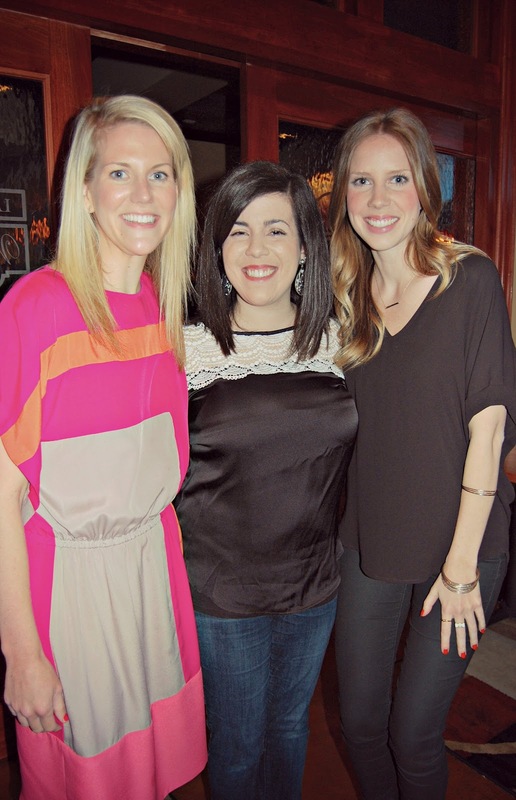 I'm excited to introduce you to 2 amazing ladies who just so happen to be beautiful, inside and out. 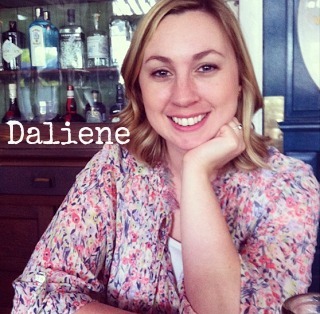 Daliene, who blogs over at Adventure Fix, is such a fantastic person. 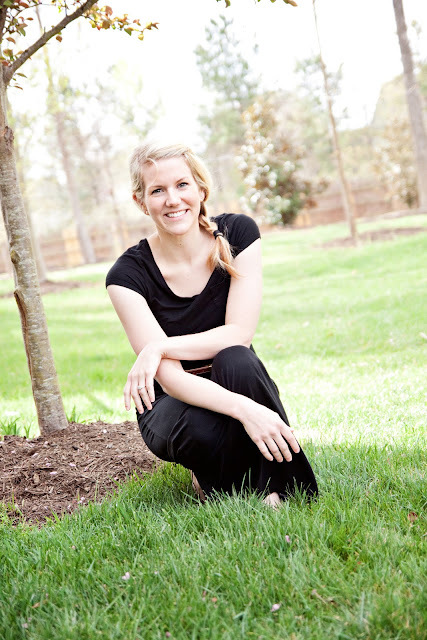 She is my go-to gal for good book reads, (seriously I've pinned so many books from her blog), she always inspires me just when I need it at the beginning of the week, and is constantly helping others. Her blog is a great daily read for sure! Cassandra blogs over at The Lyric Locket, and is equally fantastic. She made a great list of Earth Day Resolutions, (which I thought was incredible and which definitely inspired me to make some of my own), is such a great auntie to her sweet nephew Julian, and made the cutest craft to remember her recent NYC trip. Comments turned off so you can go show Cassandra and Daliene some love! Between Noel and I being involved in a big project over the past couple of weeks, and him being gone out of town a lot, we've been seriously lacking good, quality family time. This past Saturday, the four of us were able to go to brunch together, and it was so nice. I often wonder what it would be like to spend every Saturday as a family of four, but me and the babies will take what we can get! Also, can we talk about my taste buds for a second? Most adults choose an omelette or something along those lines for brunch. But I can never pass up pancakes. Never. And I have to order some good ol' Southern cookin' grits to go with it. As soon as the plate hits my table I mush all of it together. 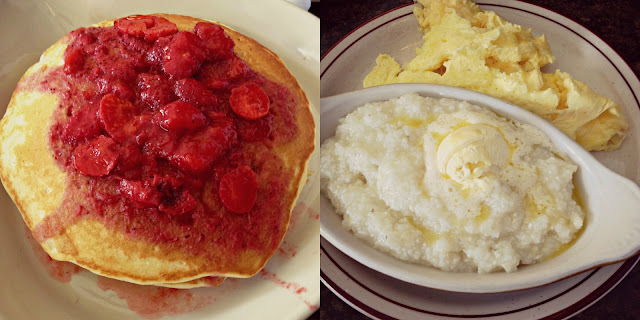 Grits, pancakes, and eggs all in one bite...mmmm. I hope you were able to have a great weekend and enjoy this beautiful weather! Have you tried out an outfit inspired by a tv/movie character? PS. Be sure to enter this giveaway for a Target gift card! 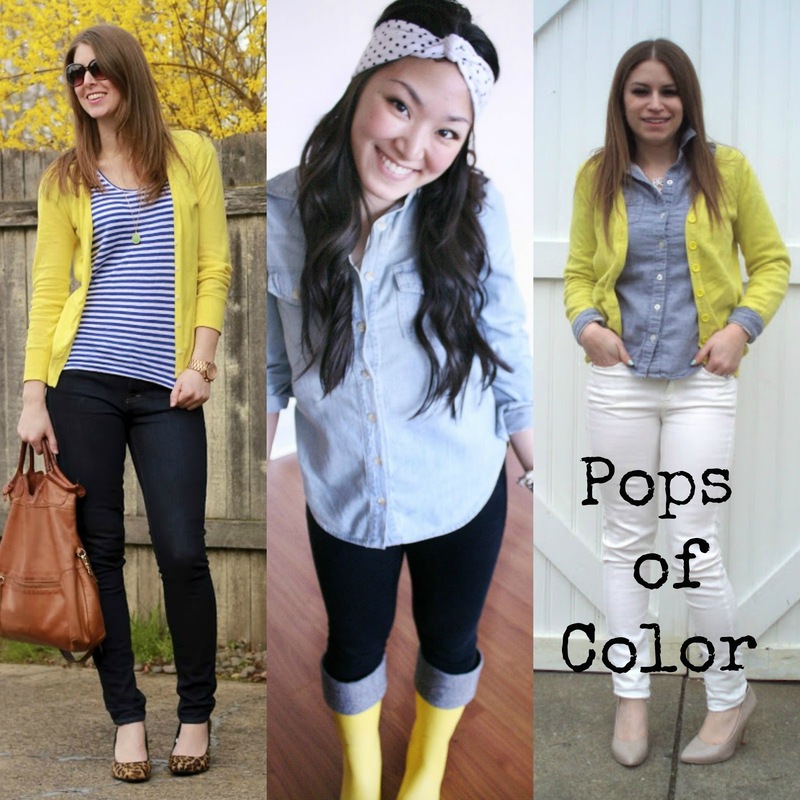 Linking up with Shanna, Amy, and the The Pleated Poppy. Do you ever go back and read through your old posts? That's what I did yesterday...and it was really interesting to see how much things have changed over the past year. I wanted to see what I posted about exactly 1 year ago, and this came up for April 16 of 2012. Crazy how little Walker looks, right? Other good ones from last April: my Dream Home post, My Guilty Pleasure post, and the post about the 4pm slump. 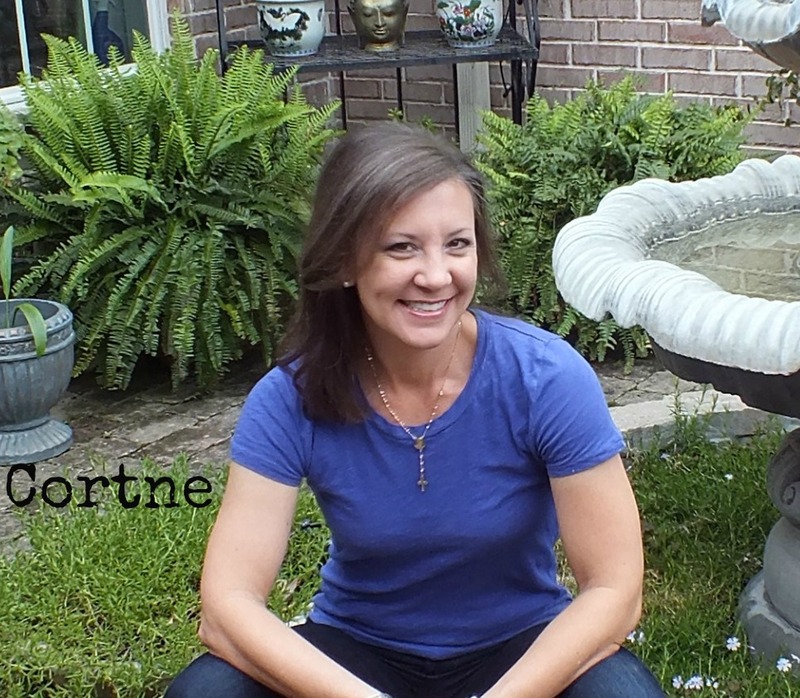 Today, Cortne is over here and she is giving away a $25 Target Gift Card!! Let's go ahead and take care of the obvious....Cortne's incredible arms. Like, total killer, rock-star arms. Cortne is so fun! She always has hilarious posts that make me feel like I'm her best friend (stalker alert, Cort) ;-) and she does super fun things with her family and her friends. Oh, and she's starting a new link-up today(!) so be sure to head on over and check it out! Every year I take the boys to Farm Days, and every year I think "I will never do this again." (See the boys looking all sweet and little last year.) How do I forget how much I really can't stand this thing until I actually get there? In theory it's a really great idea...lots of animals to look at and tractors to ride, but in reality, there's way too many people standing in way too many lines, with way too many germs. But, the boys really like it...so I guess that's why I go. (That, and the fact that there is amazing ice cream!) Walker played Houdini the whole time and would escape from his stroller faster than I could blink. But they loved riding on the tractors and Charlie especially loved looking at the little baby chicks. And seeing him so excited over holding one kinda made it all worth it. I hope you all had a fantastic weekend!! The thing I love most about these outfits is that I would wear all 3 of them. Yay for finding outfits that inspire my own wardrobe! The leopard flats, the chambray shirt, the white jeans...love them all!! Where have you found outfit inspiration lately? Alright! Now it's your turn to link up! 1. Link up ANY and ALL style-related posts....these can be curated fashion posts, outfit posts, etc. They do NOT have to be in line with the BEST OF theme of the week. 2. Please be a follower of The Mrs. & The Momma and Dancing With Ashley. 3. Grab a button or link back somewhere in your post. 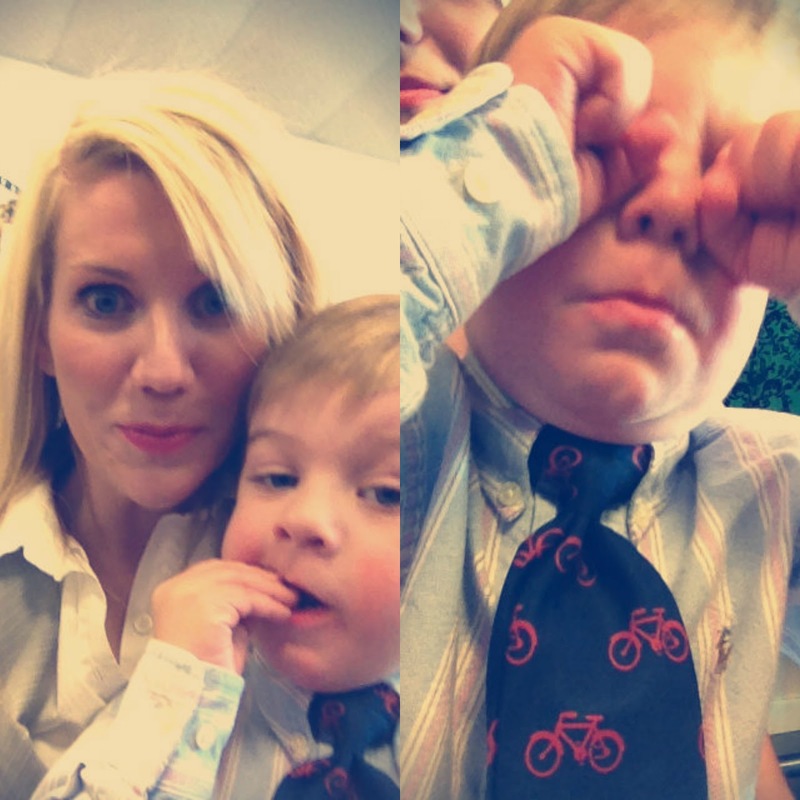 My little man, Charlie and I were in desperate need of a mother/son date. So naturally I took him to Peachy Keen's Fashion Show with me. :-) Charlie especially loved the music, (he was pretending to look through his telescope to see the models and was fist pumping the air the whole time), and LOVED the cupcakes (don't ask me how many he ate...ok, 4...but they were miniature). My sister and I have made it a tradition to go to these fashion shows together, which I love. I also was able to meet up with some of my favorite Raleigh bloggers. I didn't have a ton of time to get ready for the show, so I went with my trusty skinny jeans, heels, and a button down white shirt. (I also through in a little flare with the mini vest thing.) 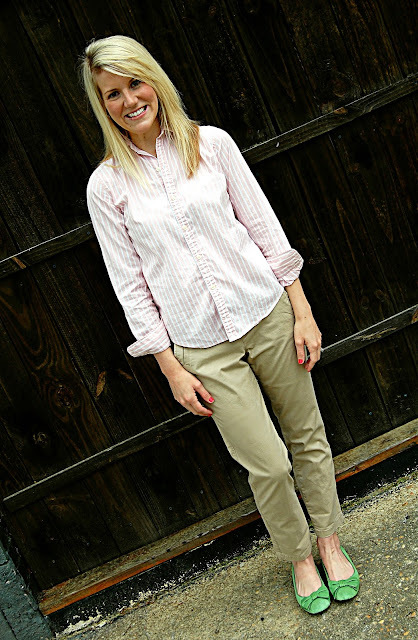 How many times can I talk about the importance of having a classic white button down? You need one if you don't already have one! It can seriously save any outfit dilemma you might be having. What is your go-to outfit when you don't have a lot of time to plan? PS. Have you entered to win a monogrammed pillowcase in the color of your choice? Go here to do it! 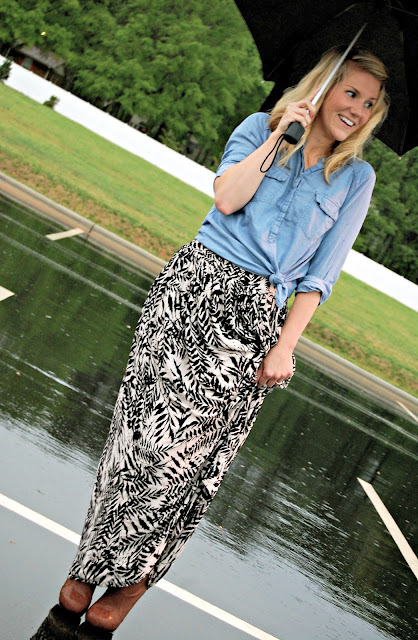 Linking up with Shanna and the The Pleated Poppy. 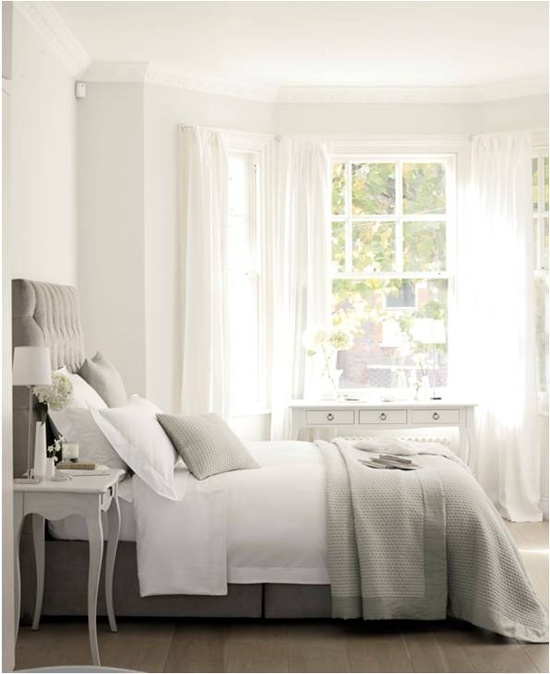 I've had a craving for a grey bedroom lately. Aren't these so beautiful? 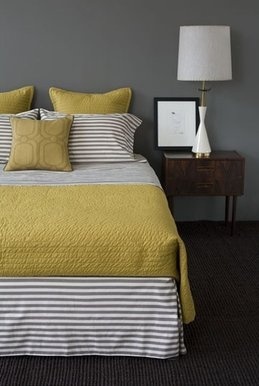 I love how you can keep the color classic with whites, or how you can play it up with yellows and other vibrant colors. 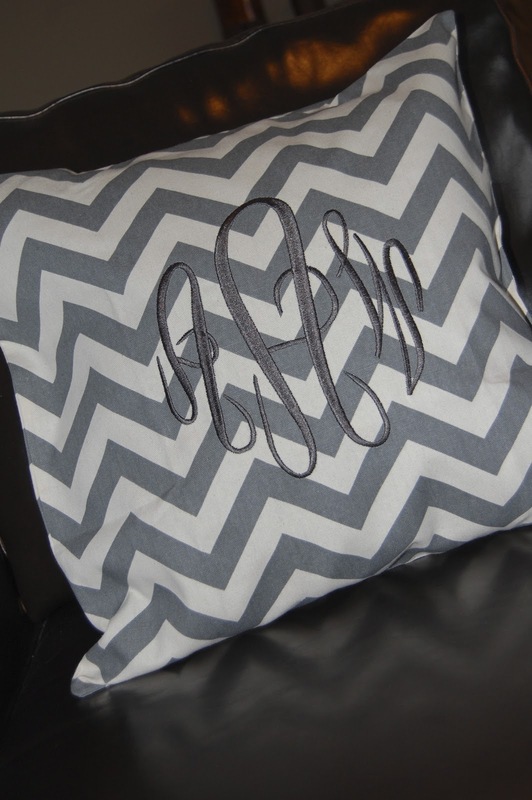 When Susan from Mary and Lucy sent me this grey monogrammed pillowcase, I nearly shrieked with excitement! 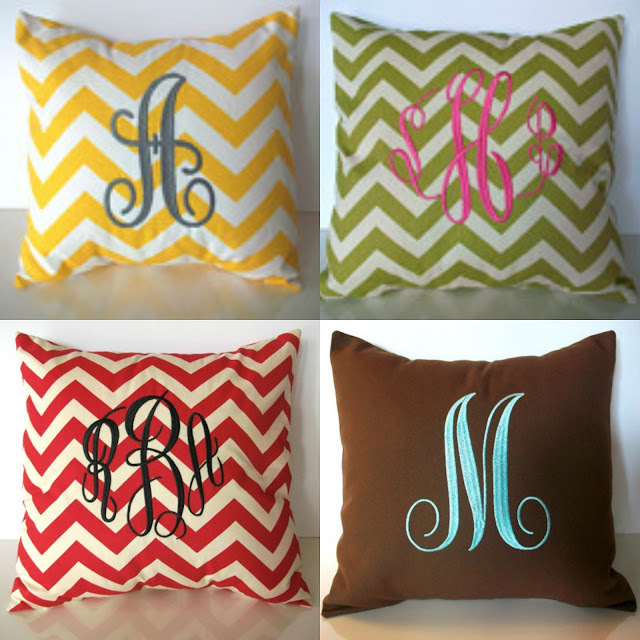 Today, Susan is giving one lucky reader a monogrammed pillow case in the color of their choice! Comments turned off so you can go browse Mary and Lucy!